Railroads in the 20th century after 1920 would live in a different world as automobiles and airplanes began to eat into the industry's dominance in the transportation sector. Millions of Ford Model-T's were on the road after 1920, highways were improving, and the airplane was becoming more reliable. The "Roarin' Twenties" would lead to the Great Depression of 1929 and a financial collapse of the United States. The depression was no easier on the railroads and many fell into receivership or were purchased by stronger companies. Rail service during the 1930s did have at least one bright spot, however, the fabled streamliner. 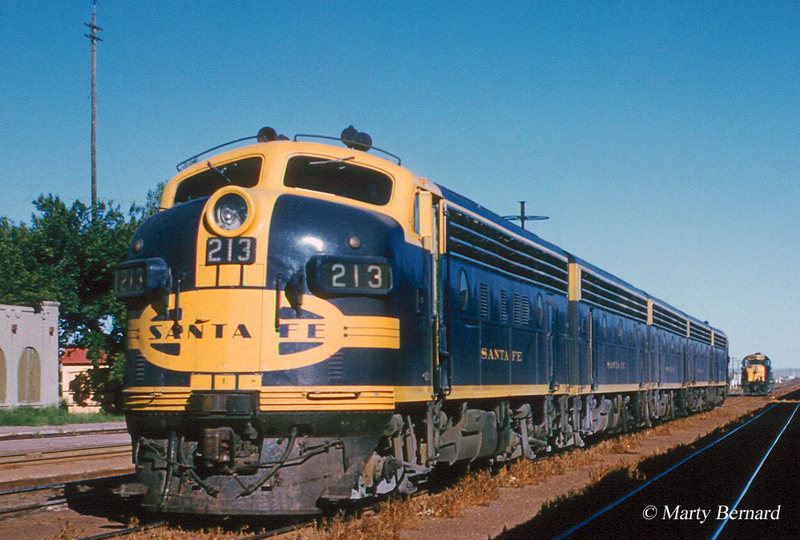 While the golden age of railroading may have ended after 1920 its best remembered and most beautiful passenger trains did not appear until the streamliner era. For the first time the decade actually saw a decline in rail mileage although the depression was partly to blame for this setback. Still, rail mileage did not recover and the last recorded growth occurred during the record year of 1916 when a mere 258 miles was added to the nation's rail network. Also, the mania of the interurban, or classic trolley, had come to an end with the depression. By the time the markets collapsed in 1929 most interurbans were already in financial trouble, as they had lost much traffic to improved highways and automobiles which folks found more convenient and flexible, and the depression simply put many of these companies out of business. At the industry's peak interurbans boasted over 15,000 miles of rails in 1916 but just 25 years later in 1941 this number had dropped to under 3,000 (and only a select few were still in operation by 1950). The streamliner era is, of course, the decade's best remembered moment for railroads even with the Great Depression ongoing. It was also the most successful. 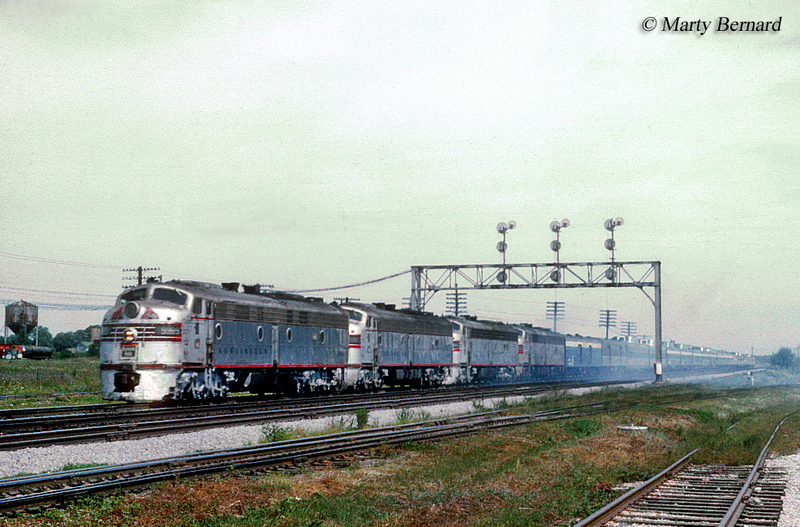 In terms of the history of rail travel and its "Golden Age," streamliners were a relatively late concept and lasted for only about forty years under private ownership until Amtrak was created in 1971 (and for several years Amtrak featured more "boxy" locomotive and car designs before returning to the streamliner concept in the 1990s). The streamliner concept also got a boost just prior to its launching when the contemporary and artistic Art Deco movement took off in the 1920s. 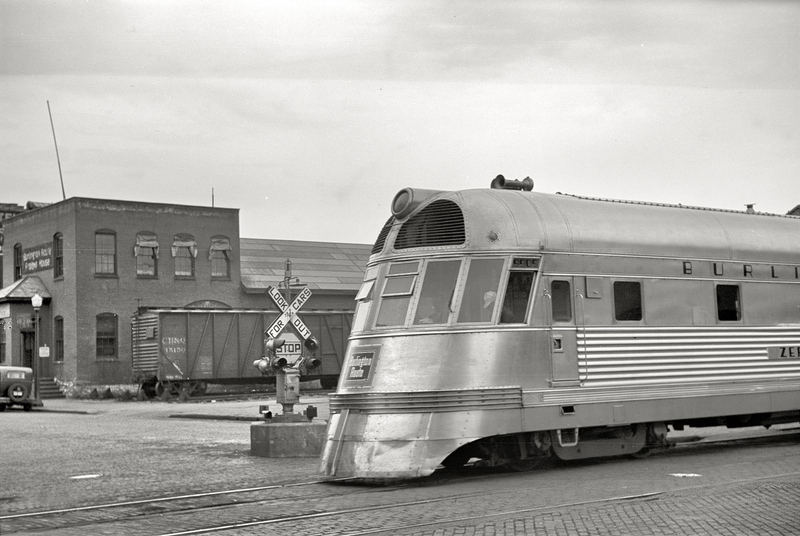 It’s form and function was quickly applied to streamliner concept including the first two to debut, the Union Pacific’s M-10000 (also known as the City of Salina) and soon-to-follow, the Burlington Route’s Zephyr 9900. Soon after the release of these trains most of the largest railroads were either launching their own streamliners or had something in the works while some trains had to wait until after World War II to see their inauguration. For the most part the streamliner concept worked and remained successful through the war. The other major development with railroads in the 1930s was the new diesel-electric locomotive. Diesel locomotives have been around in one shape or form since the mid-1920s when the American Locomotive Company (Alco) joined with General Electric and Ingersoll-Rand to produce a 300 hp, 60-ton model in 1924 that would be purchased by the Central Railroad of New Jersey, followed by the Baltimore & Ohio Railroad. The B&O also has the distinction of being the first railroad in the country to purchase a diesel-electric passenger locomotive in 1935 from Electro-Motive (B&O #50). While these early designs were somewhat successful and new diesel switch engines were becoming quite popular from makers such as Alco, it would not be until the development of EMD’s legendary E and F models (which followed the EA/EB design they were nicknamed "covered-wagons") to pull heavy passenger and freight train consists did the diesel-electric locomotive really come of age and overtake steam as the dominant means of moving freight across America. Railroads during this time would greatly need the new diesel locomotives being produced by EMC (later EMD) as the U.S. was soon to be entering a new war against Germany and the Axis after it was bombed by the Japanese in December of 1941. This time, however, railroads were prepared for the onslaught of new traffic and no government oversight was needed during the conflict. Not only did railroads see record freight traffic during the war years but also the industry witnessed a passenger renaissance as folk returned to the rails, partly due to the new streamliner concept and partly because the government needed the trains to move large numbers of troops. In any event, without the railroads World War II certainly could not have been won by the Allies.